Burn patients are prone to sepsis mainly due to the loss of skin barrier and immunosuppression. Burn wound infections may originate from the patient's endogenous skin, gastrointestinal, and respiratory flora or may be transferred through contact with contaminated external surfaces and infected hands of health-care workers. Burn patients are vulnerable to infections, especially infections with multidrug-resistant organisms which are usually healthcare associated. Healthcare-associated infections refer to as infections affecting patients in a hospital or other health-care facility which were not present or incubating at the time of admission. These include occupational infections among health-care workers and infections acquired in the hospital or other health-care facilities but appearing after discharge. Acinetobacter species is known to cause healthcare-associated infections due to its ability to survive for long periods of time on hospital environmental surfaces and its propensity to develop drug resistance.A. baumannii are Gram-negative, nonmotile, nonglucose fermenters, and catalase-positive and oxidase-negative coccobacilli that possess virulence factors such as porins, capsular polysaccharides, lipopolysaccharides, phospholipases, outer membrane vesicles, metal acquisition, and protein secretion systems. All these contribute to its pathogenesis. The prevalence rate of Acinetobacter infection varies from region to region. A prevalence rate of 19.2% was reported in Asia, 17.1% in Eastern Europe, and 14.8% in Africa. Lower prevalence rate was observed in Western Europe (5.6%), Oceania (4.4%), and 3.7% in North America., Despite the challenges, it poses only a few studies has been done in Nigeria. A prevalence rate of 14% was reported in the Intensive Care Unit of a tertiary hospital in Southwest Nigeria, while none has been documented in the Northwestern Nigeria. A 25-year-old home maker presented to the Accident and Emergency (A and E) Unit of Ahmadu Bello University Teaching Hospital, Zaria, as a referral from a secondary health-care facility 14 h after sustaining flame burns injury from a spark in a faulty electric cable in her room while sleeping at home. The patient's symptoms at presentation were cough, difficulty in breathing, hoarseness of voice, fever, and one episode of generalized tonic–clonic convulsion which lasted for 2–3 min. Patient has no history of convulsion. Examination findings revealed that she was conscious with a Glasgow coma score of 15, in painful distress, had mixed thickness burns involving the head, neck, trunk, and both upper limbs with 19.5% of total body surface area affected (TBSA) of 19. 5%. The other significant signs were facial edema, hoarse voice, fever (39.5°C), tachypnea with a respiratory rate of 28 cycles/min, and widespread coarse crepitations in all lung fields. Cardiovascular system examination showed a pulse rate of 100beats/min and blood pressure 110/70 mmHg with SI and SII heart sounds only. A diagnosis of mixed thickness burn (TBSA 19.5%) with inhalational injury sustained in an enclosed space in a domestic setting was made. She had central venous line, nasogastric tube, and urethral catheter inserted on admission at the A and E was resuscitated and transferred to the ICU. At the ICU, the patient was intubated for assisted respiration and intravenous (IV) antimicrobial agents (Amoxicillin-Clavulanic acid and crystalline penicillin) were administered. Silver sulfadiazine cream was used for dressing the burn wounds. However, antimicrobial history from the referring hospital could not be ascertained. The fever which was high grade and continuous resolved after 5 days by lysis following institution of treatment regimen. There was also improvement of vital and respiratory signs. Subsequently, the patient was weaned off the ventilator. She however developed persistent fever after 72 h of being fever-free (i.e., day 8 of admission) while still on Amoxicillin-Clavulanic acid and crystalline penicillin, with a maximum temperature of 40°C, tachypnea, and discharging burns surface. A clinical diagnosis of burn wound sepsis was made. Wound biopsies, blood, urine, and sputum samples were taken for microscopy, culture, and sensitivity testing. The samples were processed and the organisms identified using both phenotypic and genotypic methods. The specimens were inoculated on MacConkey and blood agar incubated in ambient air over 18–24 h.
The three specimens except urine collected yielded pure culture of nonlactose fermenting colonies on MacConkey agar and Gram-reaction yielded Gram-negative coccobacilli. Using conventional biochemical methods, the organism was found to be oxidase negative, inert on triple sugar-iron agar, urease and citrate negative, and also nonmotile. The bacillus was preliminarily, phenotypically identified as Acinetobacter species, which was further identified to species level using Microbact GNB/24E (Oxoid, United Kingdom) as Acinetobacter baumannii. Extraction of deoxyribonucleic acids (DNA) from the isolate was carried out using the phenol–chloroform method. A section of the 16S rRNA gene was amplified with primers and methods described by Jensen et al. [Figure 1]. DNA sequencing of the amplified product was carried out using dye terminator cycle sequencing (CEQTM 2000XL; Beckman Coulter, California, United States of America), according to the manufacturer's protocol. 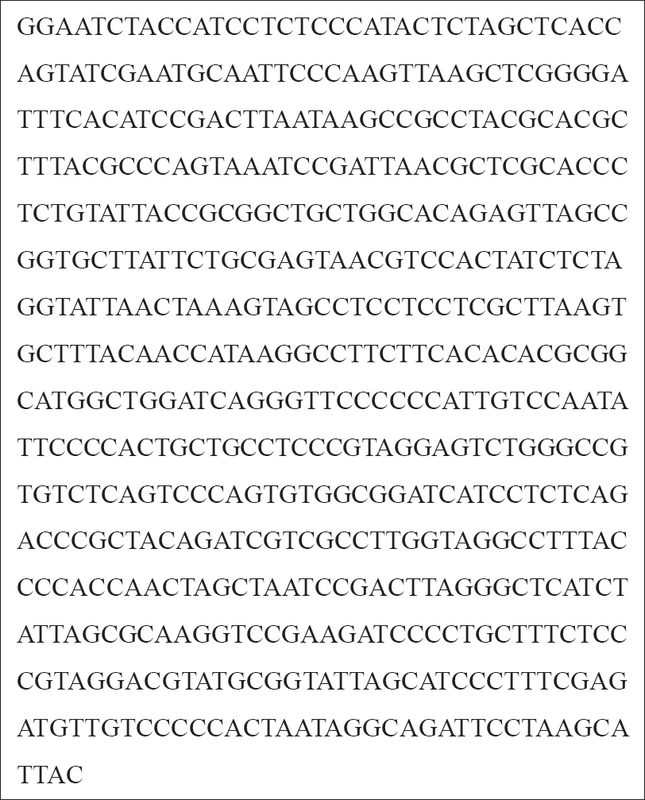 A comparison of the DNA sequence with sequences in the National Center for Biotechnology Information database with BLAST software showed 99% sequence homology with the published 16S rRNA sequences of A. baumannii [Figure 2]. Antimicrobial susceptibility was determined using the modified Kirby–Bauer method and the results interpreted using Clinical Laboratory Standard Institute guidelines 2016. The organism was found to be resistant to all commonly used antimicrobial agents [Figure 3] (Gentamicin, Ciprofloxacin, Ceftazidime, Cefepime, Piperacillin/Tazobactam, and Meropenem). Based on this finding, the patient was transferred to an isolation room within the ICU for barrier nursing care using additional transmission-based precautions (hand hygiene, wearing of personal protective equipment such as gowns and gloves, and reduction of number of people entering isolation room). She was immediately commenced on IV Ciprofloxacin 400 mg 12 hourly, IV infusion Amikacin 250 mg 8 hourly, and Rifampicin 600 mg daily and 10% povidone-iodine was instituted for wound dressing. Her temperature dropped within 72 h of treatment to 37.7°C, and other vital signs were stabilized. Environmental screening for Acinetobacter species was conducted at the ICU, and the attending doctors, nurses, ward attendants, nostrils, and palms were also screened. Environmental samples included swabs from nasal prong, thermometers, stethoscope, trolleys, bed cover, tap head, door handles, and other materials around the patient. There was no other patient on admission in ICU during the period. None of the health-care workers and the environmental samples was positive for Acinetobacter species. The patient was eventually discharged from the ICU into the ward after 3 days in the isolation unit. Patient completed a 14-day course of the drugs and the ICU was washed down with 0.5% sodium hypochlorite solution. She remained stable on the ward, was subsequently discharged and referred for reconstruction surgery. Antimicrobial resistance poses a great limit for therapeutic options in infected patients. A. baumannii is usually an environmental organism but is being increasingly identified as emerging important pathogen in health-care settings. It becomes a multidrug-resistant organism when it develops resistance to more than two antimicrobial classes such as cephalosporins, carbapenems, β-lactam/β-lactamase inhibitors, aminoglycosides, and fluoroquinolones. This was the finding in the index patient. Risk factors observed in the patient included burns wound with inhalational injury, hospitalization in ICU, and invasive procedures (central venous line, catheterization, and being on ventilator). Other studies have reported the similar risk factors., The patient underwent IV cannulation, urethral catheterization in A and E unit where most of these procedures are hurriedly carried out, and proper aseptic measures may not have been taken further predisposing her to HCAIs. Moreover, the patient required repeated suctioning due to mucous plugging of the airway, thereby increasing chances of acquiring HCAIs. Treatment at the referring center was not ascertained, it is however documented that the previous use of antimicrobial, especially third-generation cephalosporin, is a risk factor to infection with A. baumannii. The samples from blood, wound biopsy, and sputum were positive A. baumannii. This is explained by the fact that, a burn is an immunosuppressed state due to the loss of normal skin barriers. Sepsis could have resulted from the inoculation of MDR A. baumannii into the blood stream of the patient from colonized burns wound surface either from contaminated health-care facility or from the patient's own normal flora. This inoculation is possible during medical procedures such as IV cannulation, suctioning, and mechanical ventilation. Wound site colonization could have progressed to infection of the underlying tissue and subsequent systemic spread of the bacteria. The possibility of the patient picking the infection from A and E unit may be difficult to ascertain since the unit was not screened. However, negative culture from the environmental samples and screened health-care givers is suggestive of contamination from sources other than this facility. In addition, no other reported cases of A. baumannii in other units of the hospital were reported. The A. baumannii isolated was described as MDR because it was resistant to more than three classes of antimicrobial agents such as cephalosporins, aminoglycoside, quinolones, and even carbapenems which is supposedly the last resort for the treatment of hardy Gram-negative bacilli. Resistance to carbapenems may be, in itself, sufficient to define an isolate of A. baumannii as extensively resistant. However, there is a limitation in the number of agents tested for in each class of the antimicrobial. There was a limitation in choice of antimicrobial agents because colistin or polymyxin which is the drug of last resort for the treatment of MDR A. baumannii is not readily available in this facility., The combination therapy instituted was considered based on the available evidence from the literature.,, In addition, rifampicin and amikacin were chosen based on the nonroutine use in our facility and ciprofloxacin was considered and dosage stepped up based on the previous experience on its use in the treatment of other multidrug-resistant Gram-negative bacilli in the facility. This combination, apart from being readily available is also cost effective. The success achieved in the treatment of this patient could be attributed to multidisciplinary approach to management, early diagnosis, and the institution of standard precautions. Treatment of multidrug-resistant A. baumannii poses a great challenge. In identified cases, there is the need for scaling up infection control practices, contact tracing, and prompt institution of appropriate treatment. Combination of ciprofloxacin, amikacin, and rifampicin proved effective in the management of A. baumannii burns sepsis; however, further research is recommended to verify the effectiveness of the regimen. Tekin R, Dal T, Bozkurt F, Deveci O, Palanc Y, Arslan E, et al. Risk factors for nosocomial burn wound infection caused by multidrug resistant Acinetobacter baumannii. J Burn Care Res 2014;35:e73-80. Sharma S, Kaur N, Malhotra S, Madan P, Hans C. Control of an Outbreak of Acinetobacter baumannii in Burn Unit in a Tertiary Care Hospital of North India. Adv Public Health. 2014;2014:1-3.
van Duin D, Strassle PD, DiBiase LM, Lachiewicz AM, Rutala WA, Eitas T, et al. Timeline of health care-associated infections and pathogens after burn injuries. Am J Infect Control 2016;44:1511-6. Cardoso T, Almeida M, Friedman ND, Aragão I, Costa-Pereira A, Sarmento AE, et al. Classification of healthcare-associated infection: A systematic review 10 years after the first proposal. BMC Med 2014;12:40. Mahjoub M, Amara A, Bouafia N, Fredj SB, Abdeljalil AB, Njah M. Healthcare-associated infection specificities' in a Tunisian University Hospital: Overview of the Results. J Adv Med Med Res 2017;24:1-9. Lowman W, Kalk T, Menezes CN, John MA, Grobusch MP. A case of community-acquired Acinetobacter baumannii meningitis-has the threat moved beyond the hospital? J Med Microbiol 2008;57:676-8. Lee CR, Lee JH, Park M, Park KS, Bae IK, Kim YB, et al. Biology of Acinetobacter baumannii: Pathogenesis, antibiotic resistance mechanisms, and prospective treatment options. Front Cell Infect Microbiol 2017;7:55. Uwingabiye J, Frikh M, Lemnouer A, Bssaibis F, Belefquih B, Maleb A, et al. Acinetobacter infections prevalence and frequency of the antibiotics resistance: Comparative study of Intensive Care Units versus other hospital units. Pan Afr Med J 2016;23:191. Nwadike VU, Ojide CK, Kalu EI. Multidrug resistant acinetobacter infection and their antimicrobial susceptibility pattern in a Nigerian tertiary hospital ICU. Afr J Infect Dis 2014;8:14-8. Antunes LC, Visca P, Towner KJ. Acinetobacter baumannii: Evolution of a global pathogen. Pathog Dis 2014;71:292-301. Saçar S, Turgut H, Cenger DH, Coskun E, Asan A, Kaleli D. Successful treatment of multidrug resistant Acinetobacter baumannii meningitis. J Infect Dev Ctries 2007;1:342-4. Kaur A, Handa N, Sambyal SS, Sapkota H, Oberoi A. Acinetobacter-MDR a bug in burn patients: A retrospective study conducted in a tertiary care hospital. J Dent Med Sci 2015;14:66-70. Ausubel FM, Brent R, Kingston RE, Moore DD, Seidman JG, Smith JA, et al., editor. Current Protocols in Molecular Biology. Vol. 1. Cambridge, Massachusetts: John Wiley and Sons; 2003. p. 180-2. 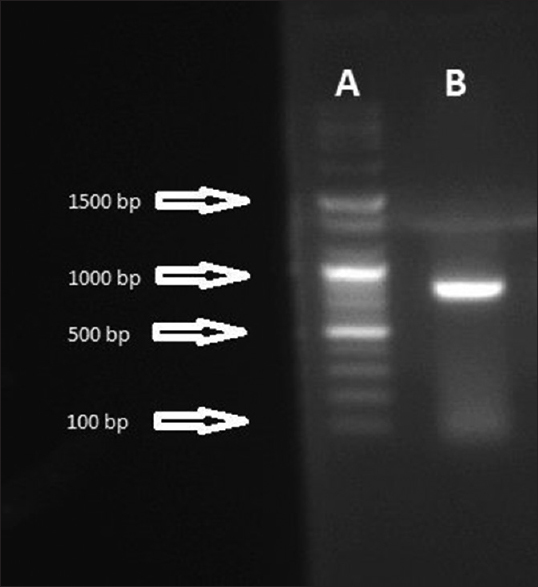 Jensen MA, Webster JA, Straus N. Rapid identification of bacteria on the basis of polymerase chain reaction-amplified ribosomal DNA spacer polymorphisms. Appl Environ Microbiol 1993;59:945-52. CEQ™ dye terminator cycle sequencing chemistry protocol. California, United States of America: Beckman Coulter; 1999. Clinical Laboratory Standard institute (CLSI). Performance Standards for antimicrobial susceptibility testing; twenty sixth informational supplement. Wayne Pensylvania:2016. p. 66-7. 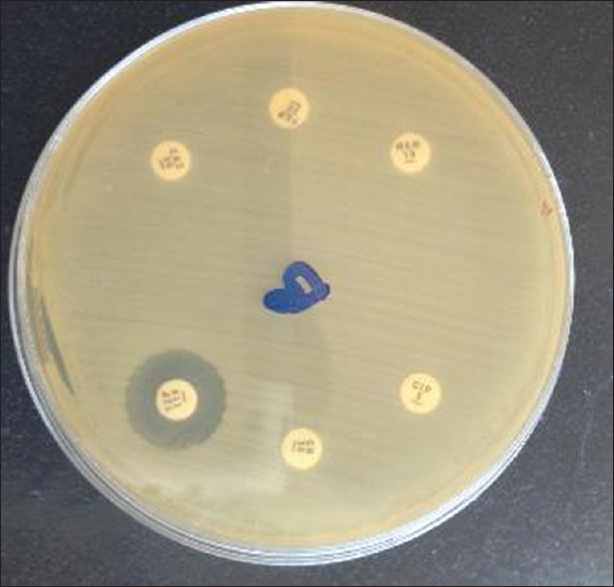 Tunyapanita W, Pruekpraserta P, Laoprasopwattanaa K, Chelae S. Antimicrobial susceptibility of Acinetobacter baumannii isolated from hospital patients. Sci Asia 2014;40:28-34. Beieler AM, Belknap RW, Dayton MR, Price CS, Morgan SJ. Eradication of multidrug-resistant Acinetobacter baumannii in a female patient with total hip arthroplasty, with debridement and retention: A case report. J Med Case Rep 2009;3:45. Song CT, Hwee J, Song C, Tan BK, Chong SJ. Burns infection profile of Singapore: Prevalence of multidrug-resistant Acinetobacter baumannii and the role of blood cultures. Burns Trauma 2016;4:13. Visca P, Seifert H, Towner KJ. Acinetobacter infection – An emerging threat to human health. IUBMB Life 2011;63:1048-54. McConnell MJ, Actis L, Pachón J. Acinetobacter baumannii: Human infections, factors contributing to pathogenesis and animal models. FEMS Microbiol Rev 2013;37:130-55. Chang Y, Luan G, Xu Y, Wang Y, Shen M, Zhang C, et al. Characterization of carbapenem-resistant Acinetobacter baumannii isolates in a Chinese teaching hospital. Front Microbiol 2015;6:910. Charnot-Katsikas A, Dorafshar AH, Aycock JK, David MZ, Weber SG, Frank KM, et al. Two cases of necrotizing fasciitis due to Acinetobacter baumannii. J Clin Microbiol 2009;47:258-63. Ahmed SS, Alp E, Hopman J, Voss A. Global epidemiology on colistin resistant Acinetobacter baumannii. J Infect Dis Ther 2016;4:287. Odsbu I, Khedkar S, Khedkar U, Nerkar SS, Tamhankar AJ, Stålsby Lundborg C, et al. High proportions of multidrug-resistant Acinetobacter spp. Isolates in a district in Western India: A four-year antibiotic susceptibility study of clinical isolates. Int J Environ Res Public Health 2018;15. pii: E153. De Vos D, Pirnay JP, Bilocq F, Jennes S, Verbeken G, Rose T, et al. Molecular epidemiology and clinical impact of Acinetobacter calcoaceticus-baumannii complex in a Belgian burn wound center. PLoS One 2016;11:e0156237.